We looked at the top 1 Digital Photo Frames and dug through the reviews from 7 of the most popular review sites including BestReviews, Top Guide Pro, Paramatan, A Top Daily, ShotKit and more. Through this analysis, we've determined the best Digital Photo Frame you should buy. In our analysis of 81 expert reviews, the Micca Micca 8-Inch Digital Photo Frame placed 6th when we looked at the top 8 products in the category. For the full ranking, see below. Besides playing photos, the Micca frame also utilizes any music on your storage media, playing it as background music while rotating through the images. And it also features an auto on/off function, timer and it is easy to use without the need for setup or software installation. This big screen helps you to see clearer image with the high resolution and it also has the function to be automatically switched on/off. One more thing, this item still needs the power source of 7 watts, which is less costly. 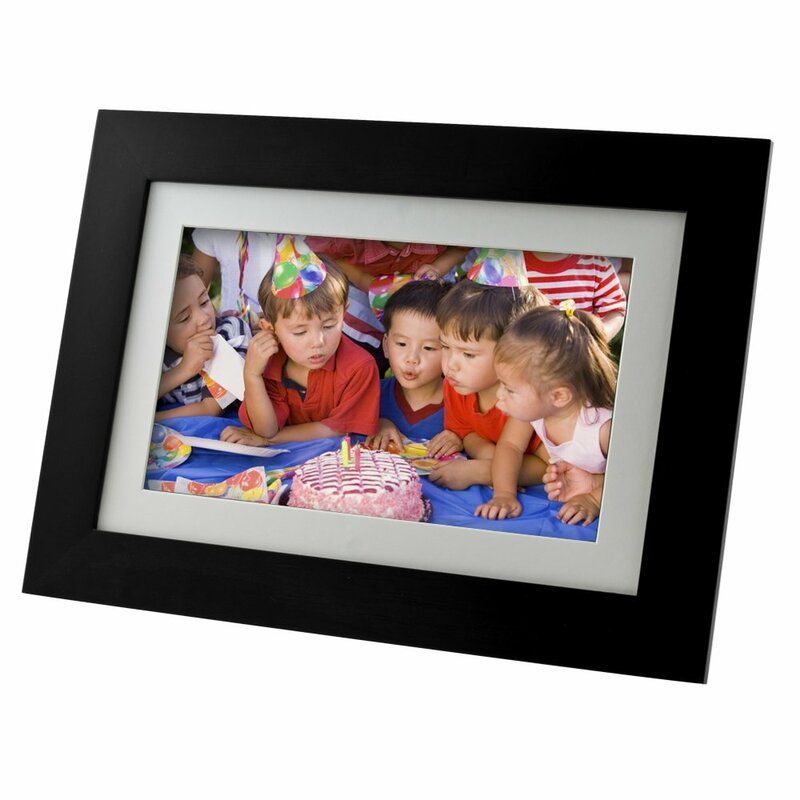 First and foremost, this frame is the ideal product that can offer the clear and vivid photos. Adding to that, with the rich and bright color that this frame provides, we can guarantee the superior quality image in return. Incredible clarity with over 3 times the screen detail of standard photo framesRich and vibrant colors shows your photos with remarkable image quality. The Micca can use SD cards and flash drives up to 32GB, which is more memory than you’ll ever really need. This frame can also accommodate home videos and has built-in speakers and a jack for headphones. At less than $50, don’t expect too much – there’s no WiFi compatibility, and the screen isn’t IPS, so it doesn’t offer the breadth of viewing angles like the other digital frames in this comparison. The Micca 8-inch (diagonal) digital photo frame will display your treasured photos and memories with incredible clarity. Its natural view LCD screen in 4:3 ratio shows photos in their natural size without excessive cropping. With over 3 times the screen detail of standard digital photo frames, your photos are shown with remarkable image quality, in rich and vibrant colors. See the texture on a leaf, individual bricks of a house, or freckles on a face - everything that lets your photo tell the story of a captured moment. The Micca 8-inch digital photo frame is very easy to use, with no required setup and no software to install. Just insert a storage device such as a USB flash drive or SD card with photos into the photo frame, turn it on, and the slideshow will automatically start. You can even take a SD card from a camera and play photos from it directly without any additional processing. The Micca 8-inch digital photo frame is exceptionally energy efficient, consuming only 7 watts of power in use, or about 1/2 of an energy-saving light bulb. Displaying photos for 10 hours costs less than one cent of electricity. Timer based automatic on/off control is convenient and saves power. Set the photo frame to start and stop based on a daily, weekday, or weekend schedule – perfect for both the home and office, and also makes the Micca 8-inch digital photo frame perfect for use as automated digital signage display.